Getting Ready For Work (189/365 year 3) – Annoyingly Boring? Monday was the 9th. I do a self portrait on the 9th of each month (unless I forget). 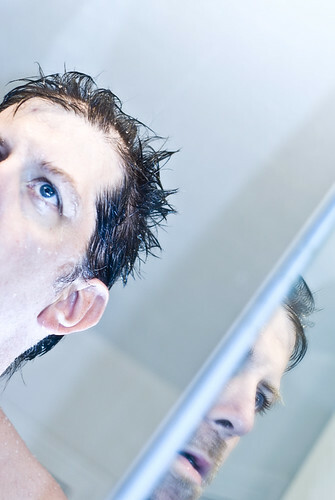 This month I decided to ‘shoot from the hip’ into the mirror as after I got out of the shower. Was pretty pleased with some of the shots I got out of the experiment. Speaking of self portraits, my entry into the boston.com July contest (theme of self portraits) has made the first cut.